The left’s standing policy of never letting a tragedy go to waste when it comes to pushing gun control in the wake of gun violence is falling flat yet again with the public. According to a recent Rasmussen poll, Americans are unwilling to blame guns for the recent shooting of two journalists in Roanoke, Va.
No matter how much Obama and his supporters may wish it otherwise, the simple fact is that the public is not buying the idea of passing more gun laws in order to stop the problem of shootings by the mentally disturbed. They aren’t even interested in laws that would be aimed at preventing those with mental health problems from acquiring weapons, presumably because the public realizes that the government would be in charge of deciding who is (and isn’t) sane enough to have a weapon. The recent survey found that only 29% of the public think that stricter gun laws would have prevented the shooting in Virginia, while 60% believe that more gun laws wouldn’t have prevented it at all. Those results are consistent with previous ones in the wake of the shooting of Congresswomen Gabrielle Giffords. Add to that the fact that 68% of those surveyed believe that the real problem is mental health issues, and the case against more gun control is even more solid. That result is also consistent with previous surveys after the Sandy Hook shootings in Connecticut. It’s become increasingly clear that we shouldn’t trust President Obama’s friends at the Bureau of Alcohol, Tobacco, Firearms and Explosives (ATF). Earlier this year, the ATF proposed a rule that would have banned commonly used rifle ammunition. In an attempt to scare the American public, the ATF claimed that “armor piercing (AP)” ammunition was being used to kill police officers and should be banned. In reality, the specific ammo in question—M855 5.56x45mm NATO—is just an average sporting rifle cartridge used by sportsmen, hobbyists, and firearm enthusiasts alike. It turned out that the ATF had no basis for its cop-killing claims. Fortunately, freedom-loving Americans pushed back. Over 310,000 comments were submitted to the ATF about this backdoor attempt to unilaterally ban M855. Realizing that Congress wouldn’t allow the ban to stand, the ATF backed down. However, the ATF left the door open to banning the ammunition in the future. Enter Representative Thomas Massie (R-KY), a staunch defender of our Second Amendment rights, Chairman of the Second Amendment Caucus, and a strict adherent to the U.S. Constitution. Sensing that the ATF may attempt a similar ban in the future, he decided to propose an amendment that would prevent similar ploys to restrict our ammo options. Yesterday, the House of Representatives overwhelmingly adopted the Congressman’s amendment – House Amendment 341– to H.R. 2578, the Commerce, Justice, Science, and Related Agencies Appropriations Act, 2016. New Jersey, or New Germany, as my friend from the Garden State likes to call it, just ruined another innocent man’s life. Steffan Josie-Davis is the latest victim of New Jersey’s archaic gun laws. Steffan was just a young man trying to make an honest living. In 2013, Steffan was working as an armed security guard. As you might expect, the security company provided him with a handgun – a 9mm Smith and Wesson - for work. According to the article, Steffan was in his garage inspecting some of his gear before work when his 6-year-old sister came into the garage. Not wanting her to see the gun, Steffan placed it in his glove compartment. However, before he left, Steffan forgot to remove the gun from this glove compartment. Shortly after he left his apartment, Steffan was pulled over by the police for suspicion of an expired registration. When Steffan went to retrieve the registration from his glove compartment, he found his gun. He immediately informed the officers of the situation. The officers took his gun, gave him two tickets for the vehicle, and then informed Steffan that he could pick up his gun at the police station the next day. When Steffan went to retrieve his gun from the station, he was promptly arrested by officers and charged with felony possession of a firearm – a crime that carries a five-year minimum jail sentence. Let that sink in. This young man was subject to a five-year jail sentence for just possessing a firearm. Unfortunately, this type of nonsense is to be expected from the unjust New Jersey justice system. Since the shooting at Sandy Hook Elementary, theoretically there have been 74 school shootings. This statistic had been willingly used by the media, until CNN decided to dig a little deeper. According to CNN, only 15 actually are school shootings, similar to the recent shooting in Oregon. The higher statistic was provided by Everytown For Gun Safety — former New York Mayor Michael Bloomberg’s pet project. Numbers matter, and so do circumstances. The problem with the inflated figures is that they include domestic and drug violence in the vicinity of schools. It’s disingenuous at best, and if anything adds ammunition to something pro-gun advocates have been saying. Schools are made more dangerous because they are “gun-free” zones. Other than searching for clientele, of course drug dealers would gravitate toward schools because they are aware that they can do business without worrying about law-abiding citizens being armed there. 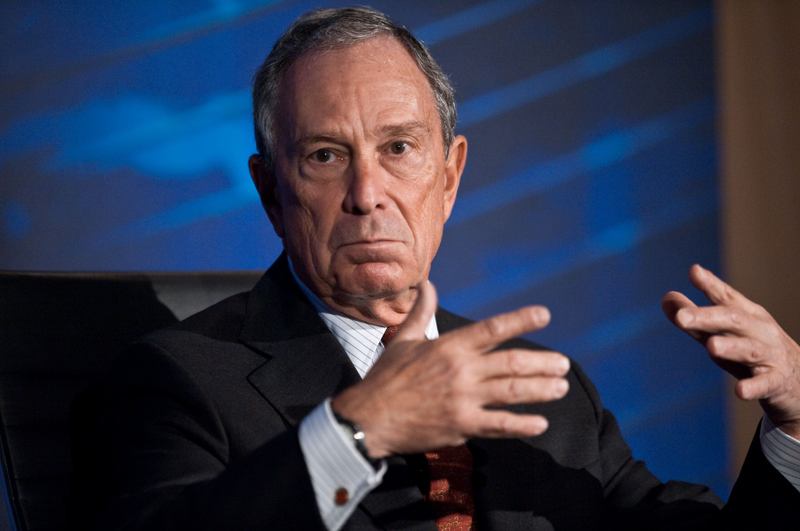 Bloomberg’s organization is not for gun safety, of course. And it isn’t about making anyone safer either. It must be repeated that these organizations are about control, period. As for the situation with CNN pointing out the questionable nature of the statistics being promoted by Everytown For Gun Safety, there might still be hope out there. We’ve been seeing the mainstream media slowly wake up from their daze, and start questioning politicians and liberal organizations. It’s only mentioned in passing under the Gun Report blog at The New York Times, but apparently the Ukraine Gun Owners Association is drawing up plans in an effort to include something like a Second Amendment to their constitution following the ousting of President Viktor Yanukovich. After violence erupted in Kiev on Feb. 18th, over 70 people died, many shot by government snipers. As both the Times and Breitbart report, the citizens and gun rights groups in Ukraine seem to believe they are held nearly captive to a government that retains 7 million weapons, while the citizenry has only 3 million, many of those illegally (compare that to the US where citizens privately hold 310 million firearms and police and military hold slightly less at 3.85 million). What’s interesting about this is that in an effort to frame the disparity of gun ownership in Ukraine as somehow negligible, and simultaneously suggest that US gun rights groups are “pouncing” on the Ukraine uprising to push their pet cause, the more liberal pundits are capable only of offering a pretty good defence of increased gun ownership and the Second Amendment in general. The Hill newspaper reports today that Massachusetts Senator Ed Markey (D-umbass) will introduce legislation to require all firearms produced in the United States to be equipped with advanced fingerprint recognition technology. The monumental stupid and elitist of this suggestion could only have come from someone whose tongue is firmly implanted in the nether regions of Mothers for Justice and Equality, Project R.I.G.H.T. and other organizations dedicating to destroying the right of the people to keep and bear arms, stomping all over the Second Amendment and sporting a big, red “F” rating from the NRA. A generally untested technology mandated for all firearms purchases? What could go wrong? Well, imagine the following scenario. Three armed thugs stage a home invasion, threatening you and your family. Your husband grabs his gun, equipped with the latest fingerprint-recognition technology, but the thugs mow him down in a hail of gunfire. You grab your spouse’s pistol, hoping to protect yourself and your children, but unfortunately, the pistol does not recognize your biometrics. You and your children are helpless. Oh, but you have your own gun that recognizes your fingerprints? So what happens if both of you are hurt or worse? Do you expect your children to grab your pistol and attempt to place it in your cold, lifeless hand in order to unlock its defensive power? Politico is reporting that Georgia politicians are mulling broader protections for gun owners. The latest plan is to ensure that people licensed to carry a gun will avoid arrest if they accidentally bring their firearms into the security checkpoint at Atlanta’s airport and if they willingly leave the security line, acknowledging their mistake. It seems to be pretty commonsense legislation that would protect law-abiding citizens who make an honest mistake. So is it any wonder the union that represents airport security screeners opposes the measure? So the public cannot be allowed to make a mistake without having lives, livelihoods and records ruined by an agency that has had so many abuse allegations leveled against it that it has become a sad joke? This same agency that forced a cancer survivor to pull out her prosthetic breast, whose employees frighten small children, and whose employees sexually assault women at gunpoint, wants a zero tolerance policy for law-abiding citizens who make an honest mistake! Does the Second Amendment protect a citizen’s right to carry a gun outside the home for purposes of self-defense? It may seem like a silly question in light of two landmark United States Supreme Court decisions which established that the right to keep and bear arms is a protected individual liberty. The case, Drake v. Jerejian, deals with a New Jersey law that strictly regulates the issuance of gun permits to citizens. Essentially, a resident has to prove some compelling reason (“justifiable need”) to a superior court judge in order to obtain a permit, which are rarely granted. The plaintiffs in the case haven’t given up. In January, the Second Amendment Foundation and Association of New Jersey Rifle and Pistol Clubs filed a certiorari petition asking the Supreme Court to hear Drake, in what is the next big fight for this constitutionally protected civil liberty.